This entry was posted on Tuesday, March 20th, 2012 at 9:52 am	and is filed under Gluten-Free Recipes, Nutrition Therapy, Seasonal Foods. You can follow any responses to this entry through the RSS 2.0 feed. You can leave a response, or trackback from your own site. Don’t you love when you find people in the world that are so committed to such a great cause – and you have the opportunity to be part of it? You’re right. It starts at home. I love this frittata. I often scramble eggs with zucchini when it is in abundance. YES, I do love it! And yes, it does start at home. We all have to be involved, whatever that means to each of us. You’re definitely doing your part in creating such healthy recipes, etc. Thanks for all you do! My mantra seems to be, “We’re all in this together.” We might as well share the stories of people who are making a difference. It gives the rest of us inspiration! It’s amazing when you realize how much food it takes to support a community. We need to start thinking “outside the box” in order to manage our food system in an ethical and healthy way. I watched a TED Talk yesterday about the local food movement in various parts of the world. It’s happening! We need to keep the momentum going. Can’t wait to hear your take on all this! So awesome, what a good person Andy is. And the world is a better place, just like that. Thanks for sharing Melissa. There’s a campaign way up here in Canada and the tagline is “farmers feed cities”. So simple yet so true. You and I seem to be tuned in to similar things. I love hearing what’s happening up your way and I love that tagline, “farmers feed cities.” Yes, we need to support the ones who are doing it right! I’m very impressed with their commitment to help others. Seems to me that my corner of the world feeds a large chunk of Britain with vegetables, we’re famous for it but do we donate any…. I doubt it. The odd hamper of veggies for a charity dinner perhaps but I never hear of anything more… could be they are keeping it to themselves like Andy but I suspect my local farmers on the whole live up to their tight fisted reputation. They may have millions in the bank but trying to get them to part with a couple of pounds for a decent piece of cheese is damned hard work…. there I’ve had my rant! Good luck to Andy, a quietly generous man. I owe you an email. I miss you and hope all is well on your side of the pond. Rant away! I love your rants and insights into food, life, textiles, kitchens, gardens, and all the zillion other things you seem to know about. Yes, Andy is a quietly generous man who hates to be in the spotlight. He’s a farmer and has no desire to be a “rock star.” There are so many people just working away helping others that every once in awhile, you want to share what they’re doing with the world in hopes others will do the same. Thanks so much for sharing your rant. I love hearing from you. We have to set up that dinner at Table #5. It’s on my bucket list! Wow, small world! Isn’t Grant Farms great?! I love having them so close and it’s heart-warming to hear about all the people who help make local and sustainable food part of our community. Including you and your husband! Thanks for all you do and welcome to my blog. Many of the recipes I post use the food I receive in my CSA share. Stay tuned! Thanks so much for taking the time to comment and introduce yourself. We’re all in this together! I somehow left out the fact that our 3 boys were with us that day. That was the best part, having them see what an impact we can all make. I’m late on commenting on this one, but I love this post. I especially enjoyed watching the video of Andy, hearing his thoughts on farming to change the world (he didn’t say that, but I am, and you have in this post and many times before), and seeing his gorgeous fields. I love it when real food can be shared with others in need. I’m told all the time that sharing real food is not feasible, that processed is all that makes sense for shipping, supplying food banks, etc. 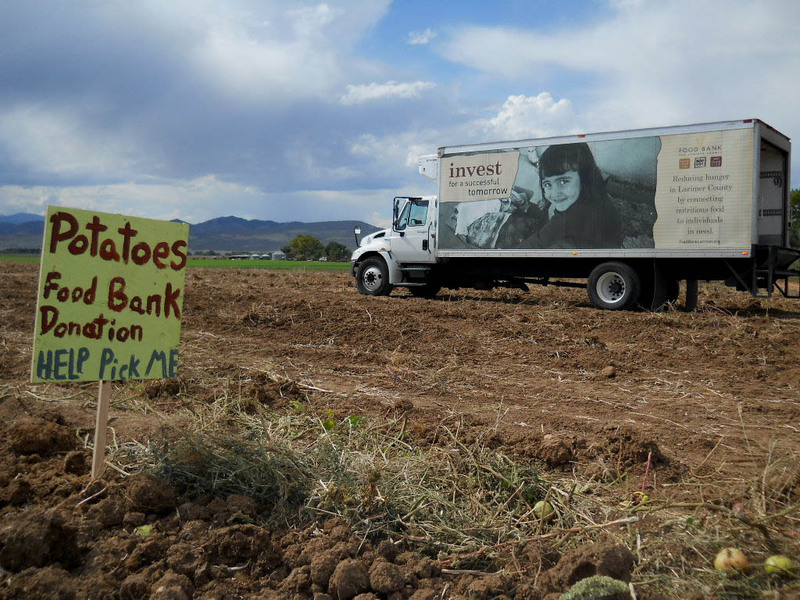 Believe me … I’ve had several online discussions on this topic, so I love to see that Andy and Grant Farms actually supply massive amounts of real food to those in need! 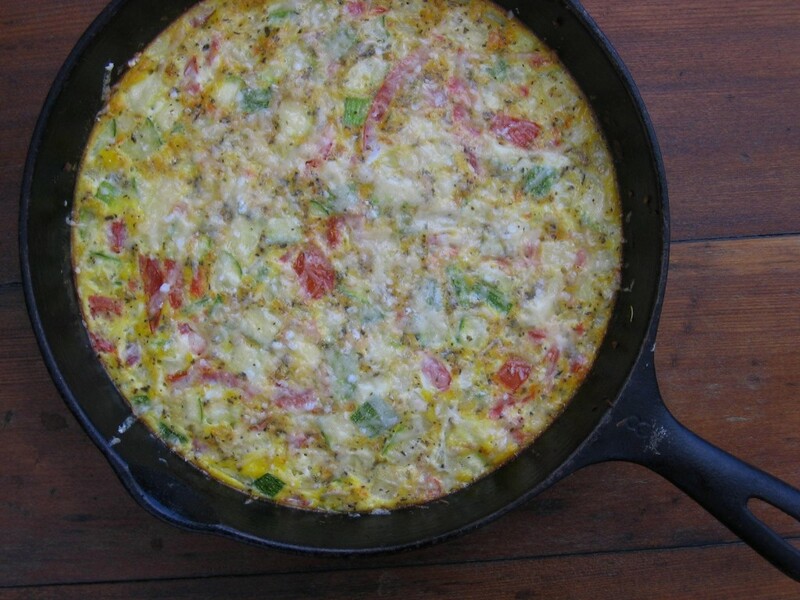 Oh, and love the frittata recipe, too! Farm-fresh frittatas are truly hard to beat. Yours loooks great! Whoa! 50 tons of food? And I too am seriously impressed with Andy and his commitment. Thanks for highlighting this.